We love the hub of our downtown Boise operation. 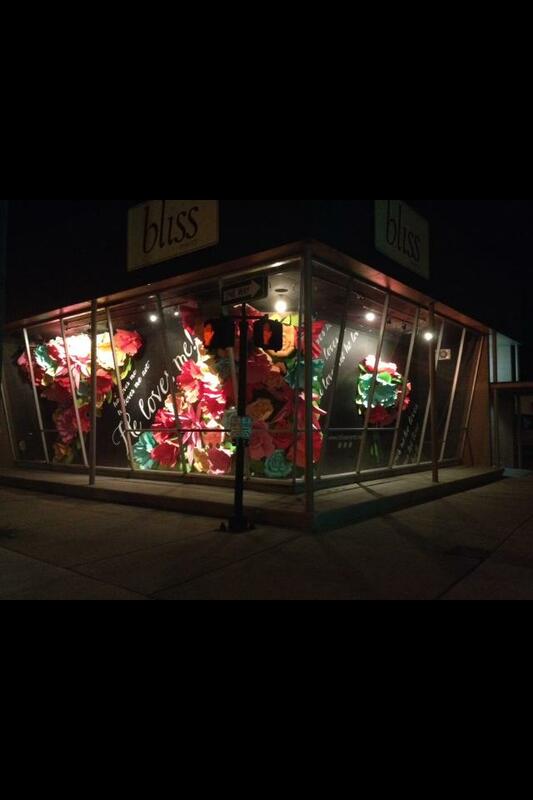 Over the years, Bliss has risen to the challenge of creating unique window displays that market the strength of the Bliss brand in creative ways, delighting viewers on their daily commutes. And– we love that we have become known for them! 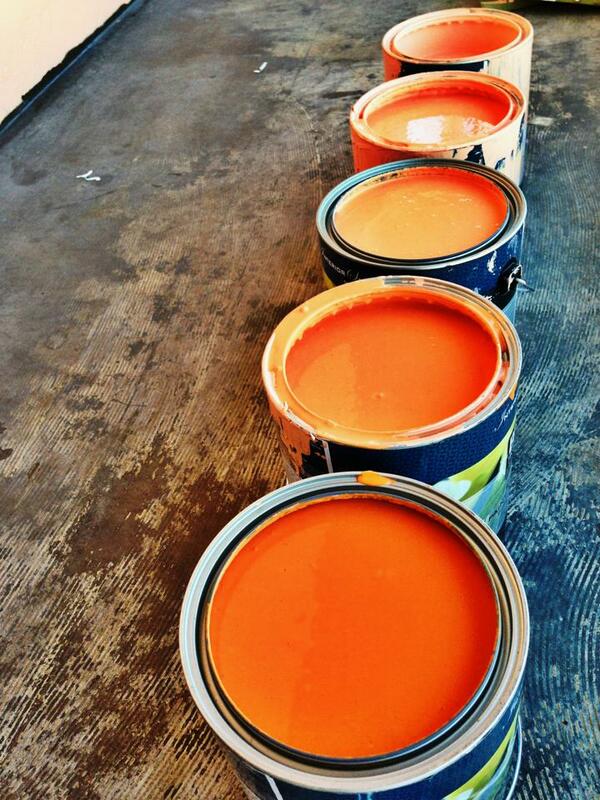 Creative progress comes from a creative process. The creative process begins with a spark of inspiration - sometimes a single image or an entire concept - which our creative team then discusses and plays with, building upon the idea in every phase of the process. Once a direction is set, the idea is fleshed out through design boards of images and descriptions. Finally, a scale color rendering is created to communicate the entire design. This is where the real fun begins as props are created, materials are shopped or scouted, schedules are formed, and the prep work gathers momentum. We reserve an entire week to remove the previous display, repaint, construct, hang, and perfect the new installation to be revealed. 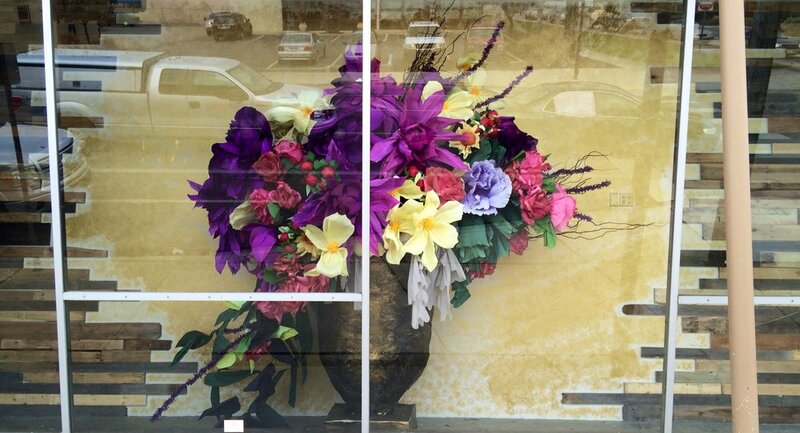 Be sure to pass by our current window display; there is already a new one in the works, and we wouldn’t want you to miss it! The modern, sleek window launching a newly designed Bliss Events. Gold bursts and confetti highlights against a pencil sketch, new logo and paint samples... this will be a totally new Bliss. #BlissParties. Beyond weddings, we love any reason to party: baby, birthday, quinceneras, bridal, vow renewals.. your party, our help. 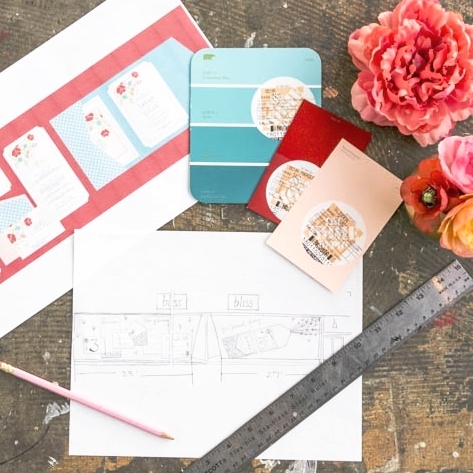 Design Board for this vibrant, playful design. Marie Antoinette-inspired 18th Century gown, designed in paper. This display is a nod to our faithful corporate clients - WE LOVE YOU! Did you know Bliss provides more services to Boise Businesses than weddings?! We loved this larger-than-life invitation design in poppy red and aqua. 50 hand folded paper cranes carried this design up and away! This menu card is over 9 feet tall! 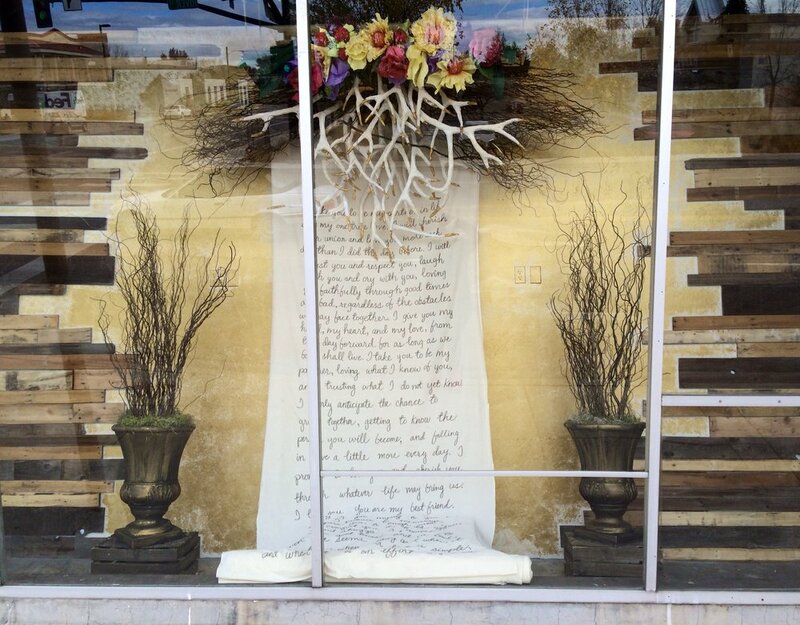 A hand written scroll of vows to keep forever. You can rent this one from our rental gallery! A custom giant urn standing over 4 feet tall! 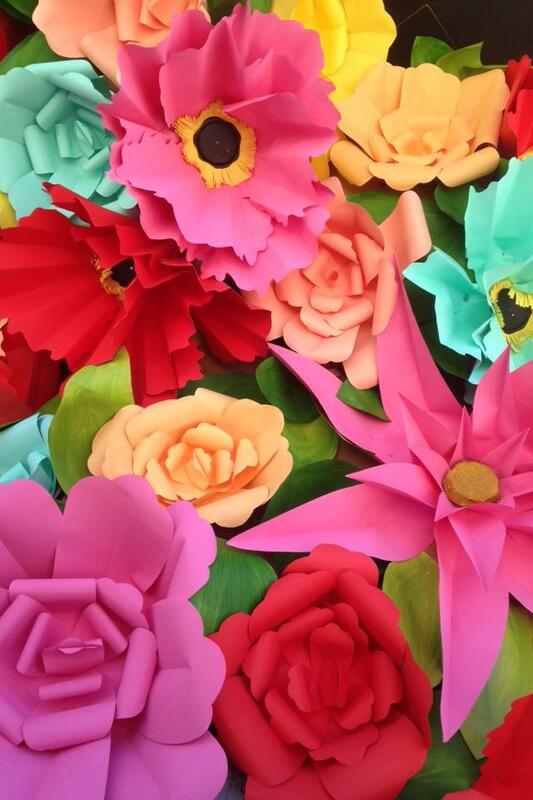 197 giant paper flowers, ranging from 3.5 feet to 5 feet in diameter. Remember as a little girl playing: he loves me, he loves me not, HE LOVES ME!!!! Shimmering pallets painted with gold and glitter, side-by-side with moss and flora. A suspended, mossy, pallet cake table. Bunting triangles were more than 2 feet long! A new found love for peach and all things reclaimed.